February 20, 2014 | Lens cap....off! The wind was howling like a creature from another world when I got home. The 13YO was on the front porch, trying to keep the window from shaking because it was rattling so hard that she thought it might shatter (note to self, discuss consequences of Mother Nature, insane wind and loose porch windows with the 13YO). She was definitely freaked. What other way is there to ease the freakiness of the weather than to bake cookies? So The 13YO began to measure, to stir and to roll peanut butter cookies into proper cookie format, finishing up with the requisite fork impressions and sugar dusting. They. Looked. Mahvelous! 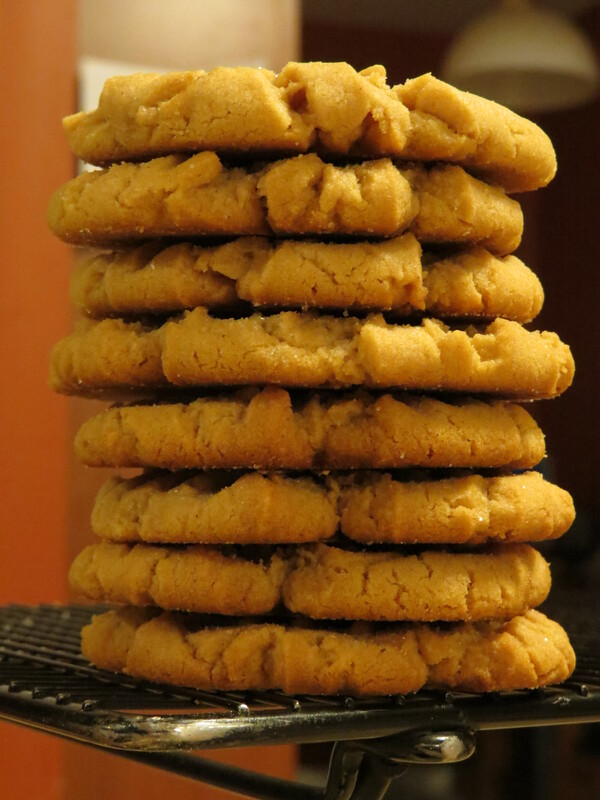 It is my duty to share these cookies with you, albeit virtually. Here are The Cookies. Smell them? Peanut butter cookie goodness right here. Oh, yeah! The weekend weather promises to be yet again DRUNK but hopefully there’ll be enough decent weather for some picture taking opportunites. It *was*! Much emphasis on “was”.